Today I made two fabric trays to put keys in. It took only half an hour for one(I sewed them only with my hands). I write here how to make it. It's really easy. (1)three cotton fabrics. One is for the inside, one is for the outside and the last one is for the key applique. The pattern I used is this. 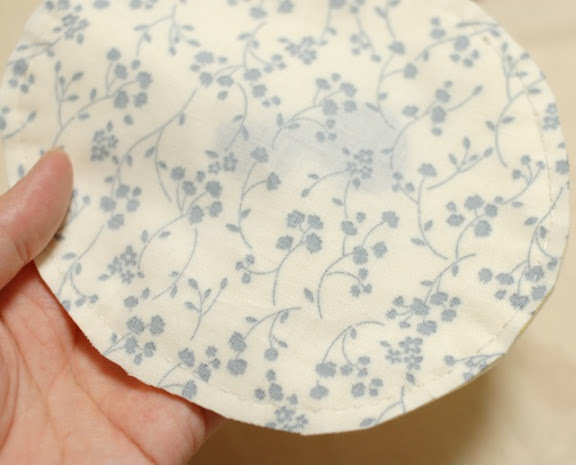 The oval pattern is maximum 6 inches wide, 4.5 inches tall(without seams). And the key is max. 2 inches tall, 1 inch wide. 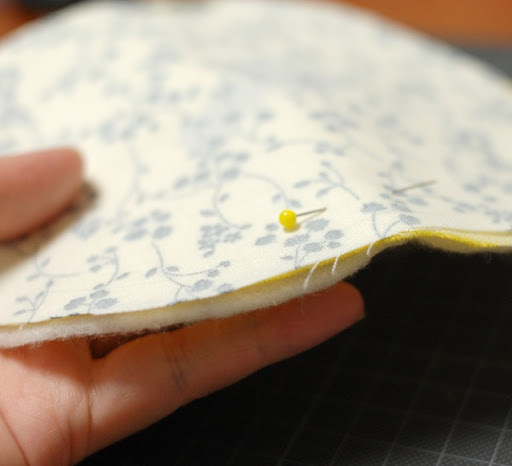 At first, put the key pattern on the interlining, and cut it. It doesn't need any seams. 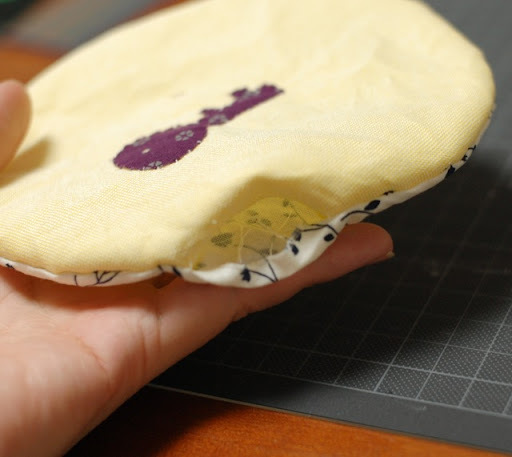 This is to prevent the fabric for applique fraying. 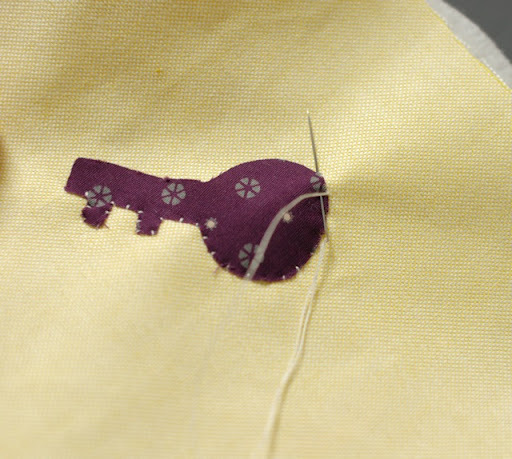 Then iron the interlining on the fabric for the key, and cut out the fabric. 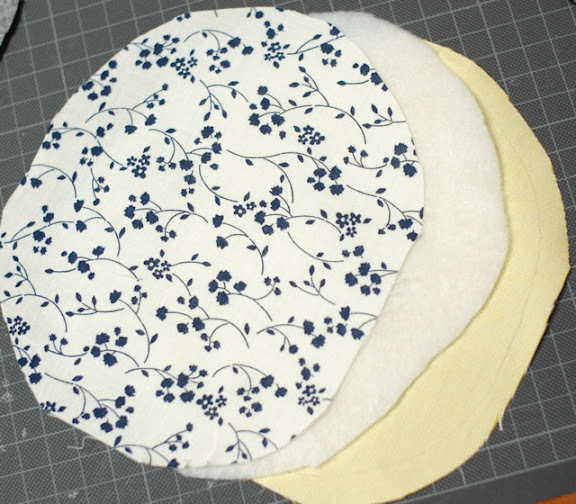 Then cut the inside, the outside fabrics and batting with the oval pattern. 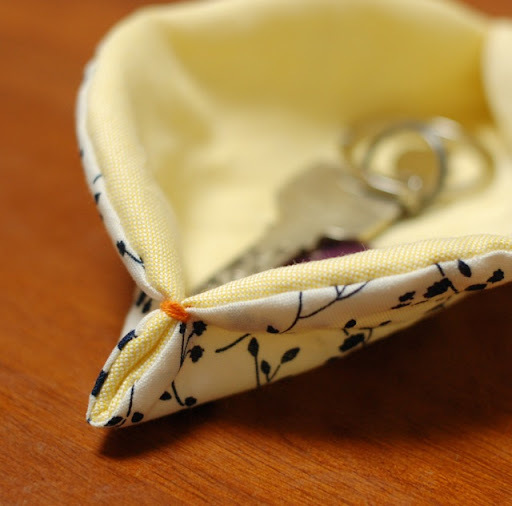 Put the inside fabric on the fabric, and place the key on the place you want. 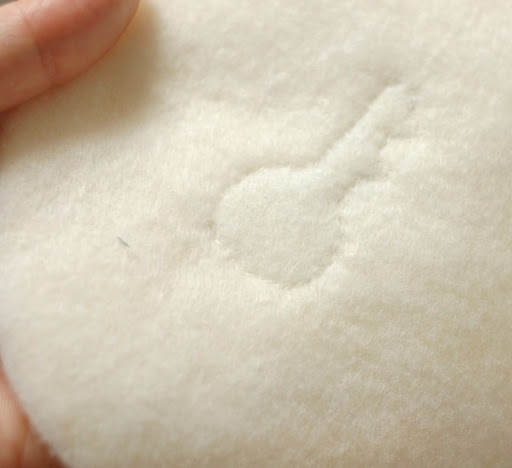 and sew it with the blind stitch. 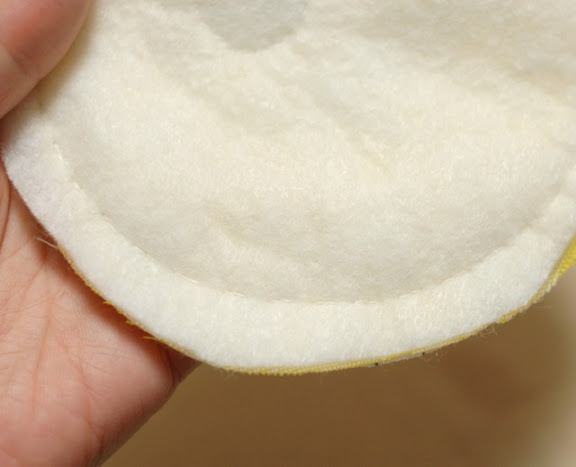 Put the outside fabric on the inside fabric to put their upper side in the inside. Then sew them leaving the space to turn it inside out. Turn it inside out, and close the space. Tuck the one side and sew the edges together. 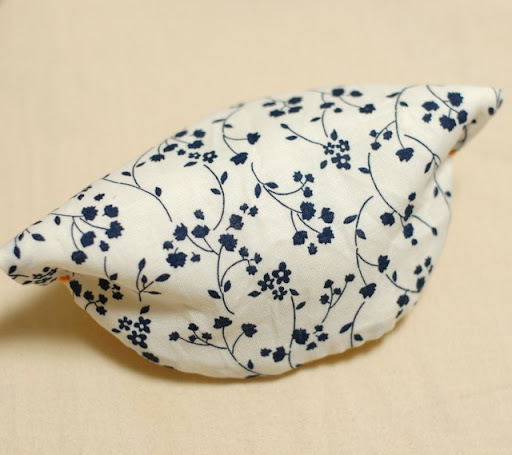 I used thick Sashiko embroidery thread. Thank you for reading. I put them on my ETSY shop. Arigato (* v *)!!!!! This tray is sooo lovely! Thank you for making this tutorial! Have a lovely merry happy weekend and love to you and yours! 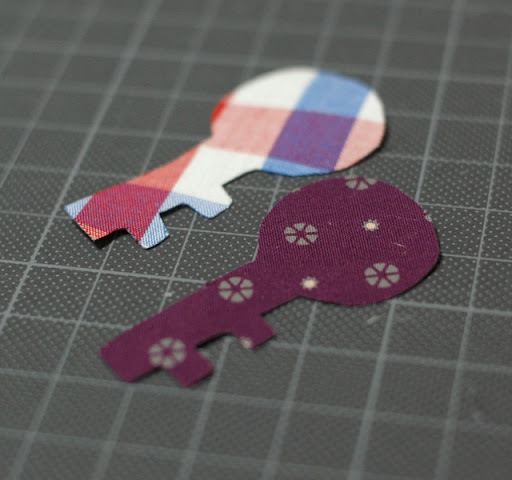 To avoid it, I put the adhesive interlining on the back of key fabric(The white one on the purple fabric). I'm sorry for my poor explanation. Thanks for the nice tutorial! I have done to make a tutorial as well, it was so time consuming! Do you have any reason that you use adhesive interfacing instead of fusible web?? 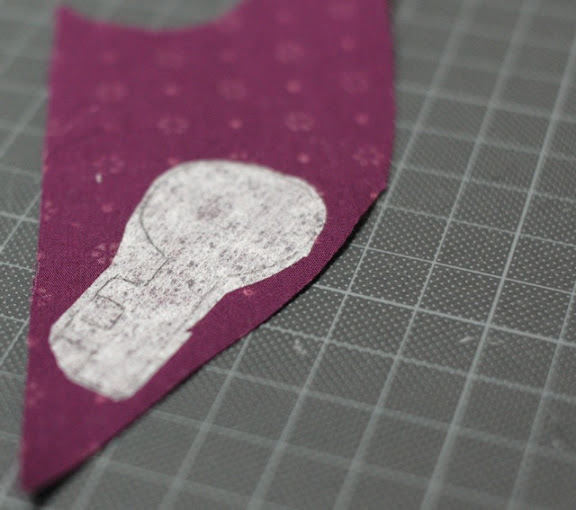 I thought it might be a good idea to use interfacing to make a little volume under the applique part. Nice! I've never tried fusible web because I cannot find it in my neighbor shops. I use what I can get easily. Your Hiragana is very neat!!!! 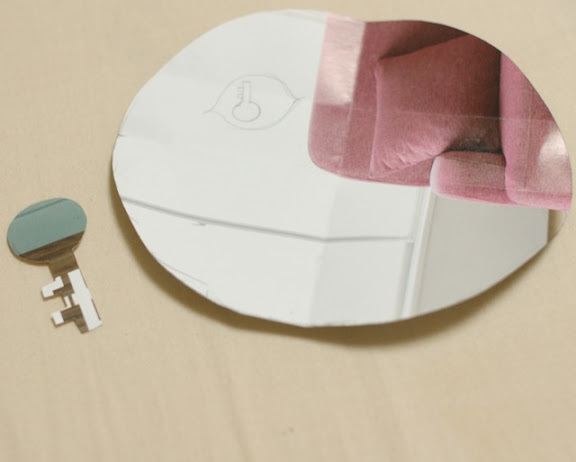 Such a great little item - perfect for travelling and putting things like earrings in on the night stand. Thank you! Thank you very much! I'm making other shape one. Brilliant! I love the simplicity. Oh I love it! Perfect for the nightstand. My cats are always taking off with my rings and bobby pins. =) I'll be linking to this if you don't mind. 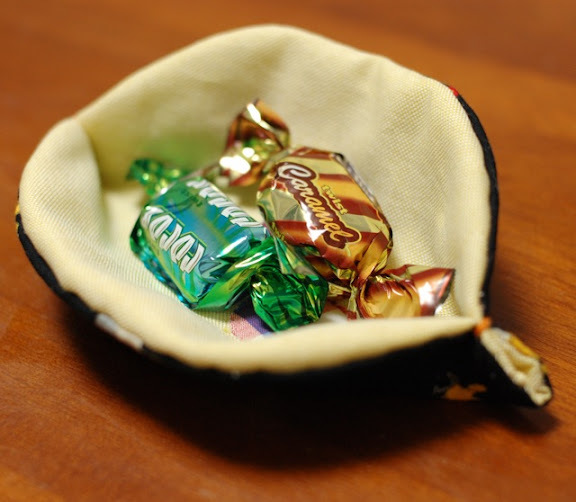 this is a lovely little tray, thank you for sharing your tutorial! i esp. like that is it sewn by hand, you don't see many handwork projects these days and it is encouraging for beginners to know they too can make something so lovely. Thank you! 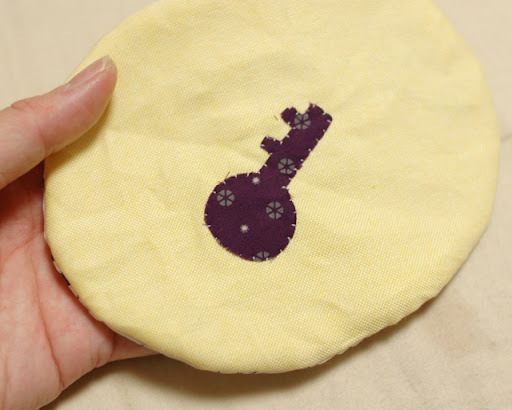 Hand stitch is very easy to begin and fun! I love your nesting bowls. So cute! Thank you for the tutorial! I was just thinking of ways to display some of my jewelry items and these little bowls would be perfect.